Experimentations and innovations are an important part of the winemaking process to reach balance in the wine, longevity and to get the best characteristics out of the grapes. Especially the artisan winemakers need a lot of knowledge and understanding about the surrounding nature and it’s potentials. They need to know the roots of a region, to understand which grapes to cultivate in one specific terroir and how to conduct the work, both in the vineyards and the cellar. Artisan winemakers need to be very efficient and they need to look ahead because mistakes are difficult or impossible to correct in natural winemaking. They need a lot of intuition to know how and when to guide the process of wine making, because wine changes constantly and absorbs new characteristics from the environment. The temperature swings, the humidity, the impact of the vessel to the wine, whether it is wood, new or old, steel or concrete, every little thing affects the flavour and complexity. In conventional winemaking you can do all kinds of adjustments with different additives, to correct all kinds of faults from the colour and structure to the flavour. It uses technology to eliminate risks, both in the vineyards and in the cellar to gain absolute control over every step of the process – very little is left to nature. Natural winemakers work the opposite way. 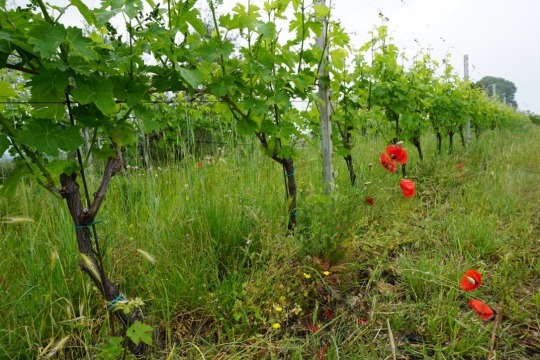 Weed killers or pesticides are not used in naturally grown vineyards. That allows wild yeast strains to survive in the grapes which makes them “more alive”, no additives are used in the winemaking process either and the results you can find in the true flavour of the wine. Artisans of wine are real artists of wine, every artist wants to develop his or her work by using creativity to make a better work of art, so they are more willing to take chances, to put all their effort into the creative process by following their intuition and by listening to the nature no matter if the risks are high. It takes time and patience to see the results of experimentations, in some cases it can take years before you can see the changes when it comes to starting the practice of new methods of viticulture. Anyway, it takes at least a year when experimenting in the cellar to see if it has been a positive change. Natural wines are always changing. They develop trough time and can differ a lot from day to day. Even the position of the stars affects the wines. There is a special calendar that can tell you when it is a good day to open a bottle of wine that is made following biodynamic principles. There is even an App available to be downloaded to your phone. If you dine in a restaurant where they also serve biodynamic wines and they are serious about it, the sommelier might advice you which bottles are best to open on a particular day, you might hear that “today the moon is in the root” and that means that it’s not a good day to open a biodynamicly produced wine. So we are talking about very precise matters and every little thing must be taken into consideration. A winemaker who follows the biodynamic principles in viticulture knows when is the right day to do some work in the vineyard, or in the cellar. It’s real commitment to winemaking, they are passionate and the love what they are doing, you can see it and feel it when talking to them. Last week we visited three of the winemakers we represent in northern Italy to hear more about their new experimentations and innovations. First we visited Daniele Delaini from our newest winery Villa Calicantus. 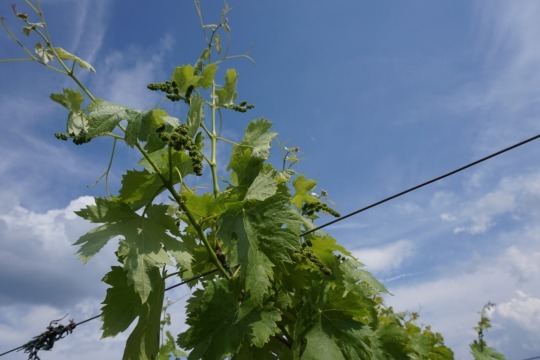 Villa Calicantus is the smallest winery of the Bardolino wine area: 1,2 hectares of vineyards surrounded by olives trees and small woods, on the top of one of the highest hill of the Bardolino Classico area, 2 km away from Lake Garda. 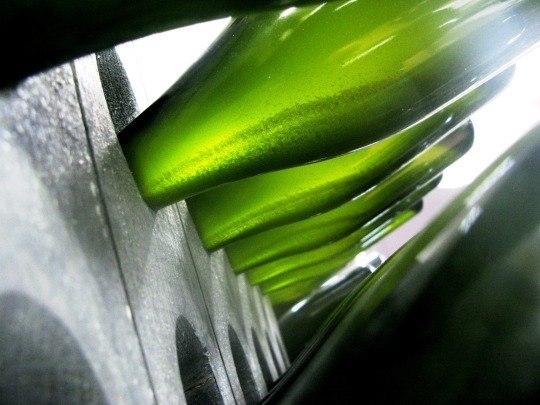 The production is between 4000 and 7000 bottles per year. The first year of production was 2011. 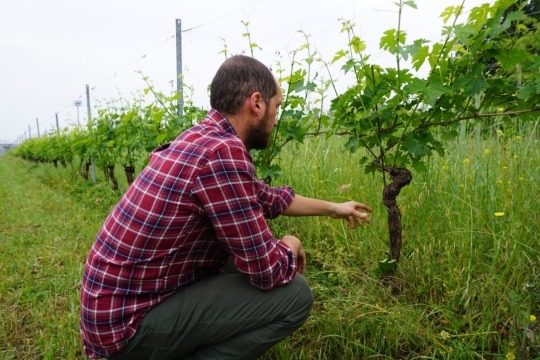 Daniele has been practicing organic viticulture since the beginning and biodynamics since 2014. He has been experimenting a different way to produce Bardolino wines. He believes in the ageing potential of a Bardolino wine and has now produced the first Chiaretto which is fermented and aged in wooden barrels. The result is very promising. We tasted the new vintage of 2015 and its fruitiness and elegancy makes it just the kind of wine you want to drink more than a bottle. The second day we visited Stefano Menti at Gambellara Veneto. Stefano is cultivating 7,5 ha of garganega and durella vines in the Gambellara and the Lessini classic hilly area. From these grapes, white still dry wines are produced, white fizzy and sparkling wines and also some sweet wines from resin fruits. The cultivation of the vineyards is organic using biodynamic methods and in the cellar only natural yeasts are used to better keep the characteristics of the Gambellara terroir. Stefano hosted us along his vineyard and cellar, and he was wearing a t-shirt saying in Italian “Vino volutamente declassato” “deliberately downgraded wine”. You can see the same phrase written on the labels of his wines and his statement is clear. He wants to produce terroir driven wines. They are what they are, just as nature want them to be and he doesn’t care about appellations. Omomorto, his spumante Metodo Classico, is fermented only with the wild yeasts of the Garganega grape must and deliberately not disgorged. You can drink the wine “cloudy” by shaking the bottle so that the yeast will blend to the wine or you can keep the bottle upside down and open it by sinking the bottle neck in a bowl of water so that the yeast will come out of the bottle and you can drink a clear wine. Stefano has also invented a special cork opener to open the bottle under water, the patent for that is pending. In this wine you can really feel the passion of Stefano towards the work and experimentations that he does. The third winery we visited was Ca del Vent, a small, independent, artisanal winery in Cellatica at the eastern border of Franciacorta, Lombardy. The estate covers only 6 hectares. The vineyards are on top of the Campiani hills (350/400 m.a.s.l. ), with quite steep slopes in a unique windy and dry microclimate. We met the winemaker Flavio Faliva who patiently explained us about his experimentations in the vineyard. Flavio has taken Rudolf Steiners theories about biodynamic viticulture to another level by adopting the principles of quantum physics in agriculture. That is done to take maximum advantage of the energy of the whole ecosystem living in the nature to minimise every intervention in the vineyard and to let the ecosystem itself do the work. This energy approach was applied to some wines from 2011 vintage and to all wines from 2012 vintage. These wines are more structured, wider and more complex aromatically. Above all you can taste the true aroma and flavour of the grapes in the wine.